Fiddler's Creek in Naples, Florida, is a must see golf destination that attracts people from all over to play and live here in one of the most unique and desirable places to live, work and play that exists anywhere. 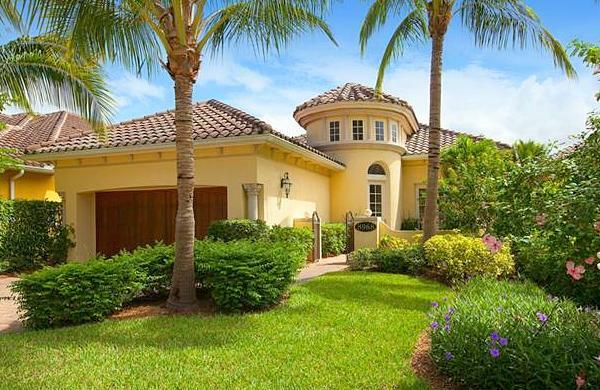 When it comes to Marco Island area homes, Fiddler's Creek is always on the short list. Residents will find the options for life here to fulfill all your needs, often, right around the corner. Located in one of the most desirable areas of Naples this planned community has homes, condominiums and carriage houses for every lifestyle in it's may communities. You will also immediately see that Fiddler's Creek is truly a premier, planned, development with many amenities and forethought that has gone into every phase of Fiddler's Creek including the fact that this is also a “Fire-Wise” development that has been taken into account with building materials, natural areas and homes that only 50 communities in the entire state of Florida have been awarded. Chiasso is located in the Veneta community of Fiddler's Creek with a total of 59 single family homes. All are luxurious and in private settings with wonderful lake views. Homes range from 2500 square feet and 3500 square feet in this wonderfully designed and appointed community of homes. Floor-plans are three bedrooms with three bathrooms and three bedrooms with a den and three bathrooms all with attached garages for your one or two cars. Chiasso in Fiddler's Creek has many of its homes furnished and replete with include features such as dishwasher, washer and dryer, smoke detectors, sink disposal, self-cleaning oven, large walk-in closet, built-in security system and tile flooring to name a few. The outside of the residence is rich with the styling of Naples, Florida with features like sun patios and shutters either decorative or functional. Cotton Green homes are perfect for almost any size family with spacious living areas allowing for almost infinite means of furnishing for every need of the family. Available plans, under air, run from 1900 to 2500 square feet with all the features you would expect in Fiddler's Creek. Residences are available with three bedrooms and two baths, and, also there are four bedrooms and two bathrooms available too. With views of the manicured and kept community landscaping or water views of one of the many lakes the living outside is as grand as the living inside. Cranberry Crossing is a community of 50 homes built from 2005 to 2006 and homes range from the 1900 square feet to 2500 square feet. Layouts are from three bed and three baths to three bed with three and half bathrooms. Also included with each is a two car garage, and, the homes have stunning water views of the lakes and creeks that are an integral part of this tropical area. Isla Del Sol homeowners have stunning views right outside their windows with views of the famous golf course or lake views that bring the outside in the splendor that only Fiddler's Creek can offer. This community of 34 custom built homes make for an exclusive and private setting that offer one and two story homes ranging from a most generous 3,400 to 6,000 square feet under air on large lots that add to the charm and gracious living you can find at Isla Del Sol, the "Island of the Sun" at Fiddler's Creek in Naples Florida. Even the garages speak to the richness of this neighborhood with some being available to hold three or four cars. Enjoy also the amenities of this community with paths for walking or biking, clubhouse with frequent events, lighted streets, pool with spa / hot tub area, tennis court and all the features you would expect from such a desired address. Mahogany Bend is a neighborhood having a large selection of 53 resplendent homes in the Mediterranean style. These spacious homes have from 3,000 to over 3,700 square feet layouts, under air, with a minimum of four bedrooms and baths each with a custom kitchen so you can entertain family and friends most graciously. Outside you can find views of the natural beauty of the area with lake and sunset views or views of the renowned, Arthur Hills designed, Rookery golf course all while surrounded by the tropical foliage that this area of Naples is so well known for. With such a home having all the above and the features of Fiddler's Creek as well you can go wrong with a Mahogany Bend address. Majorca is but one of the many communities within Fiddler's Creek of Naples, Florida. Majorca, like it's Spanish island namesake, is an intimate setting made of 19 single family homes in the classic Mediterranean style. Floor plans run from three to four bedrooms, with baths, and each having a three car garage offering plenty of space for all the family’s needs. Square footages of currently available homes average over 4,000 square feet under air, with four bedrooms plus den and five full bathrooms. With the gracious homes notwithstanding the amenities available also contribute to the value of this exclusive community with available opportunities for relaxation and recreation such as the natural reserve, lighted tennis court, exclusive bistro, and, recreational areas galore with the added bonus of Marco Island's fine sand beaches being literally right around the corner. Mallard's Landing in Fiddler's Creek has a unique styling for this community has a stately New England styling that sets these homes apart while adding a richness that is overflowing with style and grace. Homes in this neighborhood run from 2,000 up to 4,000 square feet under air. Currently listed homes for sale have from three beds and three full baths up to five bedrooms and four full baths. Each of these inviting homes also have a guest cabana and striking water views throughout in addition to the many amenities you can only acquire with ownership of a Fiddler's Creek residence. Fiddlers Creek is a 3,931-acre work-in-progress. When the build-out is complete in 2020, less than 1,300 acres will be occupied by housing. The remainder will be nature preserves and recreational areas, including the golf courses. Low density, bundled golf, 24-hour security, miles of walking paths and deed restrictions have already helped Fiddlers Creek establish a new standard of excellence for Southwest Florida.